Happy #mantramonday Blue Ridge Nation! Today, our mantra is: make time for wholesome snacks! Everyone loves a good serving of nachos, but nachos can be tough to replicate for those who don’t consume dairy. 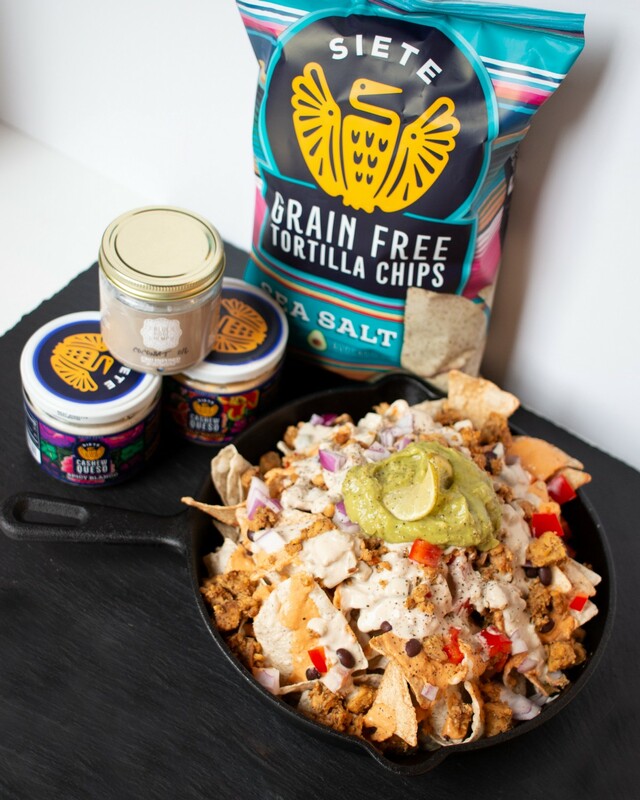 We used some of our favorite products from @sietefoods to make a batch of Nachos that are friendly even for your vegan friends! Both vegan queso sauces are made from cashew cream, so they are rich in flavor while still dairy free. We’ve also heaped up this delicious pile of nachos with some crumbled Salt & Pepper Steak Hempeh from our friends at @eathempeh to add a little protein! It’s a quick and easy snack that will satisfy your need to munch while also providing your body with good nutrients. Click on the link in our bio for this yummy recipe, and enjoy!